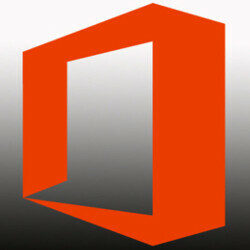 Microsoft has added a new feature to its Word, Excel and PowerPoint apps for Android. Called "Tell Me," you can learn anything you need to know about these three apps by using it. All you need to do is tap on the "A" and pencil icon on the top of the page, and then select the light bulb icon. Those using a tablet can click right away on the light bulb found in the upper right corner of the screen. Once "Tell Me" opens and a text box appears, type in what you are hoping to find out about the Office app you are using, and the answer should pop up quickly. Sure, you could use Google to get the answer for you, but when it comes to Office, well let's just say that it is called Microsoft Office, not Google Office. Besides, with "Tell Me," this can be all done inside the app. While "Tell Me" is the big news, there are other new features included in the update on two of the three apps. Word is now giving you the ability to merge and split cells (no, not mitosis). And Excel has improved its auto-complete capabilities, while also allowing you to expand or collapse grouped rows and columns. So is this the new Clippy?